Pick up point will be Bagdogra railway station/airport, from where you will depart for Kalimpong. On arrival, check in the hotel and spend the day at leisure. 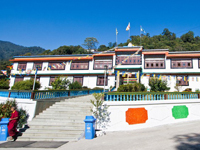 Enjoy overnight stay at Kalimpong. 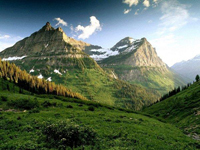 Spend half day visiting different attractions of Kalimpong. You can visit Delo Viewpoint, Zang Dhok Palria Phodang Monastery, Durpin Dara Viewpoint, Pine View Nursery and Army Golf Course. 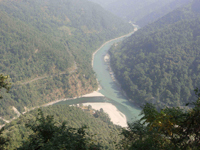 In afternoon, proceed to Gangtok and on your way enjoy picturesque sights of Tista River. On arrival, check in the hotel and spend rest of the day at leisure. Enjoy dinner and overnight stay at the hotel. Spend half of the day in Gangtok and visit Banjhakri Falls, Santi View point, Botanical Gardens, Orchid House Flower Show and Dodurl Chorten. Depart for Darjeeling in the afternoon. On arrival, check in the hotel for overnight stay. 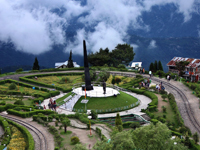 Spend full day in Darjeeling and visit attractions like Tiger Hill Sunrise Point, Batasia Loop and Ghoom Monastery. 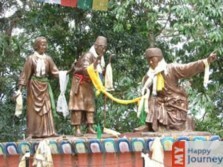 After lunch you can visit Tibetan Refugee center, Tenzing rock, Gombu Rock, and Lebong Race Course area. You can go for shopping on the Mall in evening. Overnight stay will be at the hotel. In the morning you will be transferred to Bagdogra airport/ railway station, marking the end of the tour.